Irey has pointed out that among other problems the White House version is composed of multiple typefaces — which would be impossible on a 1960s era typewriter– and shows evidence of “kerning” — the proportional spacing between letters found on computer-generated documents, but not with typewritten ones. After his examination of the electronic “birth certificate, “Vogt filed a 22-page criminal complaint with the FBI claiming the “birth certificate” is a forgery for multiple reasons, such as parallax problems, for which he presented evidence. Vogt further claims that they will hold a press conference later in the day August 8th and if the birth certificate on record at the Hawaii DOH varies from the one the White House released then criminal charges will immediately be filed for forgery, etc. Irey says that he will be able to tell within minutes of examining the original if the one released by the White House is fraudulent. Through they have been stonewalling for months, years actually, refusing to show Obama’s original “birth certificate,” the Hawaii DOH has little recourse at this point but to comply or to refuse the subpoena. If they refuse, the judge in the case can compel them through court order to release the original. It is now only a matter of time before the question of Obama’s birth certificate, and whether he is a “natural born” American citizen, will come to light. If the original does not exist or does not match the version the White House released, the consequences will shake the presidency and the nation. Now another document expert has examined Obama’s “birth certificate” posted by the White House and determined it is a forgery. 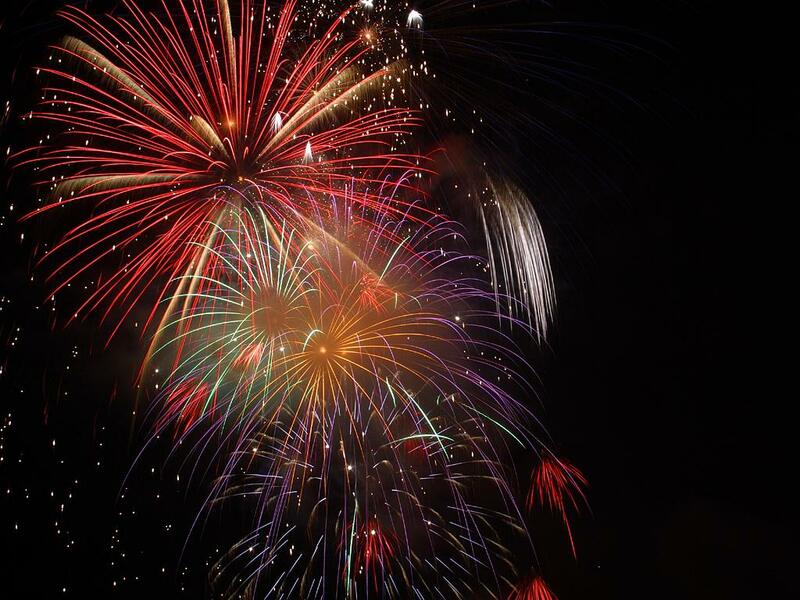 Software designer, Tom Harrison, with over 30 years experience says it is quite obvious the document is a forgery for the simple fact that upon close examination there are areas where colored pixels are overlapped or missing. This would be impossible if the “birth certificate” was actually a scanned original document as claimed. As the number of experts declaring the Obama “birth certificate” a forgery continues to rise, it seems amazing that the mainstream American media has largely ignored their analysis and continues to insist that the document is genuine, evidently based on the fact that the White House posted it therefore it is true. The blind spot that the media has for Obama is staggering and even factually evidence no longer matters in their reporting — if they bother to report anything at all about this incredible forgery. The courts have also been complicit in covering for Obama as they have refused over and over to heard any of the multitude of lawsuits challenging his eligibility to be president under the requirements of the U.S. Constitution, specifically Article 2, Section 1, which states the President must be a “natural born” American citizen, which generally is taken to mean that both parents must be American citizens. Obama’s father was a British subject from Kenya. However, a few lawsuits are still moving slowly through the court system. One notable one filed by attorney Orly Taitz has not only brought up the problem of the birth certificate, but is currently seeking discovery to determine why Obama has a Social Security number issued from Connecticut (where he never lived) which the Social Security Administration says was actually never assigned. If this evidence is ever allowed to see the light of day, it will be the most explosive political story of our time. But, perhaps, that is why no one wants to touch this. Evidence continues to surface that the Obama “birth certificate” that the White House posted in April is an out-and-out forgery. Typographer Paul Irey has produced an easy to see and impressive examination of the many typefaces found in the certificate. This is problematic to begin with because if the birth certificate was produced on a typewriter as would be expected from a 1961 document, it could only contain one typeface not multiple typefaces. Check the link below. Further, Adobe experts, Mara Zebest and Doug Vogt, have also told World Net Daily that the Obama “birth certificate” was apparently created by cutting and pasting from existing documents and is not an original certificate. The registrar stamps that have the date, April 25, 2011, and the one bearing the registrar’s name appear to have been imported to the document electronically and are not original to the document. They also appear in separate layers, which they should not. 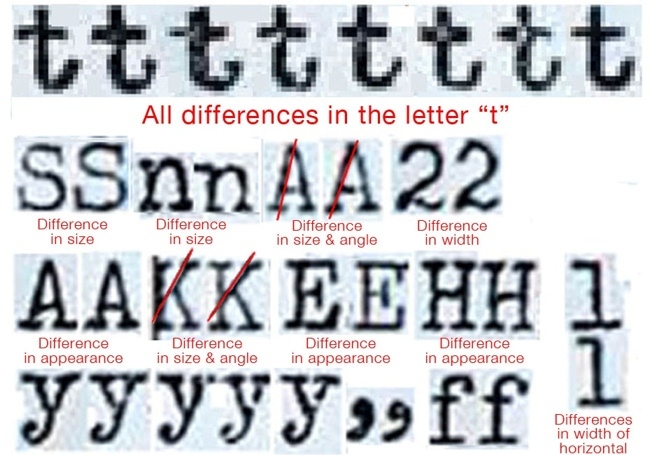 Other anomalies include letters that have the exact same pixel structure, indicating they are the same letter copied over and over to create different words, an apparent spelling error in the registrar statement, and an alteration to the registrar’s signature that makes it appear to be a character smiling. With the amount of evidence growing that the Obama “birth certificate” is a forgery and the testimony of a number of document experts, the question remains: when is the court going to finally agree to hear a case challenging Obama’s eligibility to be President since the Constitution states clearly that the President must be a “natural born” citizen of the United States? It seems readily apparent that Obama does not meet the Constitutional requirement. An expert with Adobe and Microsoft software has completed an extensive analysis of the Obama “birth certificate” released by the White House. She points out a myriad of inconsistencies and errors in the document that show it is clearly a phony document composed using Adobe Photoshop and Adobe Illustrator. According to WND, Mara Zebest is an authority and author of over 100 books on Adobe and Microsoft software and is a “nationally recognized” computer expert. 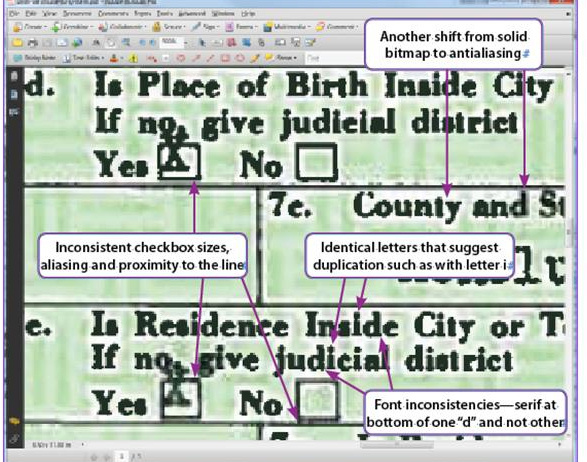 Her analysis shows multiple inconsistencies in the density and spacing of the text in the “birth certificate,” problems with “antialiasing” (caused when differing color tones bump into each other), checkboxes on the document having different widths and positioning, identical pixeling with some letter characters, differing fonts, a misspelling in an “official” stamp, and puzzling anachronisms such as an official signature by “ukulele,” etc. (See link above). In short, Zebest, says the document presented by the White House has been manipulated and is a cut and paste, therefore fraudulent, a phony, which was evidently created by someone who knew something about computer graphics, but lacked the expertise to create a document that would hold up to close scrutiny, a job by an amateur. WND reports that a “prominent software engineer” has shown “mathematical proof” that the Obama “birth certificate” is a forgery because the mother’s signature is too perfect. He brought up the layers of the document in Windows Photo Viewer and magnified Obama’s mother’s signature. 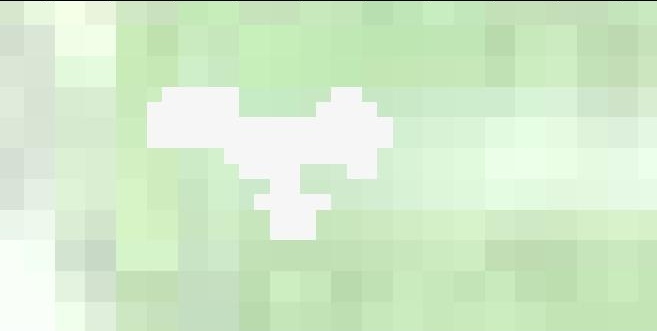 In layer 9, it is in a perfectly straight line exactly one pixel about the signature line, a mathematical impossibility for a human being writing freehand. The engineer, who is a “high-level programmer” for a state government, has asking to be kept anonymous to avoid retaliation or being fired. His examination centered on layers 8 and 9 of the document released by the White House because the mother’s signature is broken between those two layers. 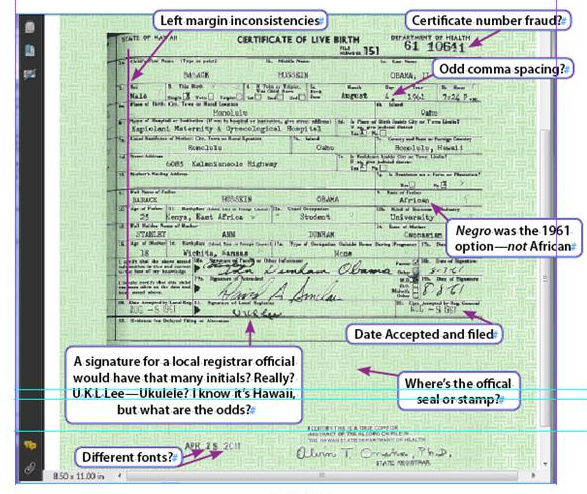 First of all, the birth certificate image should not be in layers if it is an authentic image and, secondly, the signature should not be partially in one layer and partially in another. The fact that it is and the fact that the signature is exactly straight, exactly one pixel above the signature line is “mathematical proof” of forgery, according to the software expert. This is now another software or document expert that has come forth with evidence that the Obama “birth certificate” is a forgery, and not a very good one. However, the question remains, when is the Congress or the courts finally going to take a serious look at this document and the evidence that continues to mount that shows the man sitting in the Oval Office may not be a citizen of the United States, and certainly does not qualify as a “natural born” American citizen as the President is required to be by the U.S. Constitution? Cases challenging Obama’s eligibility to legally run for or be President have been filed by various parties and attorneys for over three years, yet no court has allowed any case to be heard. Most of them have been dismissed on legal technicalities. It is high time that the courts allow a case to be heard on its merits, for evidence to be brought forth, for documents to be subpoenaed, for expert witnesses to be heard, and for judges to actually make a ruling on evidence and stop looking for political cover and ducking their responsibility to the American people.